Football Betting Alerts is a football betting system that provides you with laying selections in certain markets, to be placed at Betfair (or your exchange of choice). There is no trading involved, you just place the bets and then leave them to run. 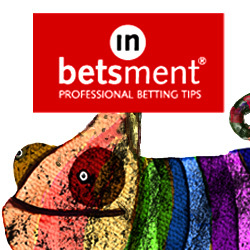 There is quite a high volume of bets with an average of five per day – although inevitably this tends to mean quite a lot more than that on weekends but less on weekdays. The good news is that you can use a bot to automate the bets for you, which will significantly reduce the workload of placing all the bets. We used the bot ourselves during the trial – called the “Prof-IT Bot” and can confirm it works well once you have configured it all. The bot costs from £12 to £18 per month, depending on which plan you go for. So how did Football Betting Alerts get on during our trial? Well at first glance the results were pretty good, with 391 points profit being made at a return on investment of 5%. They changed the type of selections midway through the trial, adding in laying the HT draw. As we mentioned in our last update, this strategy was disastrous and was then removed to be “tested” first. In reality it should not have been added in the first place until properly tested. The staking also changed midway through the trial, from risking 10 points per selection to 20 points. This added to the sense of inconsistency and could have messed with people’s banks. So overall the picture was one of inconsistency and lead to a bit of frustration for us – and we expect other users – with things regularly changing during the trial. Before a service is released to the public, particularly one which costs £79 per month, these things should be worked out in advance and guidance should be clear. Hopefully these things can be ironed out and they seem to be settling on a preferred methodology now, so we will keep an eye on things and make sure that they stay that way. In summary we think the results overall are good and the service has potential, but our opinion of it has been tempered by the constant changes that were made to the selection process during our trial period. So for now we are awarding them a NEUTRAL rating and we will watch how the service progresses. Let’s just hope they can settle things down and concentrate on a clear set of methods now. Ease of use: This can be quite a work-intensive service to follow, with often ten or more selections per day at weekends, meaning unless you are able to sit in front of your computer for most of the day, use of a bot is essential. Fortunately the PROF-IT BOT that has been programmed for FTA works well and costs from £12 to £18 per month. Availability of prices: As mentioned above, sometimes the current score will be above 4.5 at half time, so you will have to wait for it to hit that price before a goal goes in. In terms of liquidity though, it shouldn’t be a problem as you can use other markets (over 0.5 / 1.5 / 2.5 etc) which have excellent liquidity. Occasionally the lay the draw prices move quite a bit from the published prices, so you need to move quickly on those as soon as the tips are posted. Strike rate: The strike rate for the trial was 70%, which on the face of it is very good but we did endure a drawdown of over 500 points during the trial, which is quite a large amount and bear in mind that with stakes of 20, your liability on the correct score bets will be 70, so a losing run can quickly hit your bank. Advised Betting Bank: There was no bank advised for the trial, so we used a 1500 point bank which should be enough with a 70% strike rate and even with a bad drawdown during the trial, the bank was never in jeopardy. Subscription costs: The subscription costs are £42 for 14 days or £79 per month. We have mixed feelings about Football Betting Alerts. On the one hand they have produced good profits and it seems the service has identified a certain edge over the market on its particular bets. However, on the other hand we were quite frustrated during the trial by the constant changes. The worry when this happens is that the service is making it up as it goes along and doesn’t really have a sure-fire strategy. Hopefully that isn’t the case here and these were just “teething problems” of a new service, but only time will tell on that front. What we need to see going forward is a consistent and settled strategy with clear instructions and no ambiguity on how selections are backed, certainly for a service that charges £79 per month and with the use of a bot that most people will need at an extra £12 – £18 per month. If they can achieve the desired consistency, then we would be happy to revisit this review and potentially upgrade to a higher rating. In the meantime though it’s a hold and watch briefing for now. Sadly there has been a significant reversal of fortunes for Football Betting Alerts, who have lost virtually all of their previously accrued profits. Since our last update, we have lost 324 points, which means they are now just 19 points up for the trial overall. What is more concerning for us though is the regular changing of strategies. Last time we reported that they had added an additional strategy, lay the HT draw. Well after some poor results that strategy was then withdrawn and they declared they would be testing it first. Well it would have been nice to test it first before adding it as a strategy and for those us of following it to have lost quite a bit of money! Then we have some additional strategies being added – “Strat 4” and “over 55” which get a lot of hype but are quite poorly explained as to how to trade them. Frankly this is all quite frustrating to follow as a subscriber and we hope they can iron out these issues and settle on some consistent strategies going forward, as well as give much clearer guides to the other strategies and full results for those. Things have continued to move on smoothly upwards for Football Betting Alerts, with another 77 points of profit added since our last update three weeks ago. That means we are now 343 points in profit for the trial overall. They have recently added another method to the set of systems. Previously there were just two strategies: lay the draw and lay the current score at half time. Now however we have a third strategy, lay the half time draw. What you do is lay the HT draw before the game, then lay it again after 15 minutes, whilst also covering the 1-1 HT score. We are normally a bit concerned when a new strategy is added mid-way through a trial, as the other two were working very well and were apparently based on a long period of proofing the selections. But we will give them the benefit of the doubt and hopefully this new strategy will add some more profits to the coffers – only time will tell of course. The other thing to mention is that we have just signed up for the Prof-it Bot to trade the selections automatically for us, so we will report back on how that goes at the time of our next update. Sometimes you give something the big build up, only for it to disappoint you. We are pleased to say that this hasn’t been the case with Football Betting Alerts so far, which is fully living up to our expectations. After three weeks of our trial and 125 bets, they are nicely in profit: 266 points in profit to be exact. That is risking a maximum of 35 points on each selection, to win 10 points. The good news is that they are offering a 3 day trial for just £1 here – please note this is only available until midnight Sunday 5th March 2017. Just to recap, all bets are either lay the draw or laying the current score at half time. So pretty simple to follow. There is no trading out, just place the bets and then see if they win or not. It is looking very good so far, but of course it is still early days and much too soon to draw any conclusions. That is why we run trials for a minimum of three months – to give enough time to make a solid conclusion about a service. If this keeps up the kind of form it has shown so far though, it will be a great addition to the portfolio. You can get a 3 day trial for just £1 here – please note this is only available until midnight Sunday 5th March 2017 though. Occasionally there is something that lands in your inbox that genuinely makes you sit up and take notice. We have just had that feeling with a new football service that on the basis of what we have seen so far, could be one of the best betting systems we have come across in a long time. The service in question is called Football Betting Alerts and is provided by the same team behind Football Trading Alerts, amongst others. The system was designed by a guy called “The Professor”, who has built an algorithm to find instances where the chances of a particular event occurring in a football match are over 80%. He is a professor of mathematics and a computer systems specialist, so clearly knows what he is talking about when it comes to these things. His selections were proofed for over three months to the FTA team and the results were nothing short of superlative. With stakes of just £10 lays (liability of max £40), the Professor made over £1,000 profit over the proofing period. What is more, the strike rate for that period was over 80%, which to make that kind of profit at such a high strike rate is quite incredible. They are planning to set up a bot so that you can add that to your subscription and have the bets placed automatically, so all bases are covered. We signed up to test the system ourselves and will run a three month live trial here on the site. This weekend was our first of testing it out and results were excellent. On Saturday, there were 11 selections and 9 were winners, with 2 scratch trades – so no losers! On Sunday, things weren’t quite as good, with 10 selections, 7 winners and 3 losers. Overall on the weekend, with £50 lays of the LTD and £100 back stakes on the over 0.5/1.5/2.5 etc, we made over £250 profit. A superb start and needless to say if those results hold up over the long run, then we are talking about something very special. Although it is very tough to consistently win your football bets, this may have found a unique approach to doing so – let’s hope so! You can check out Football Betting Alerts here.